Exterior – this is without exaggeration the “face” of the house, which reflects its character and taste of the owner. 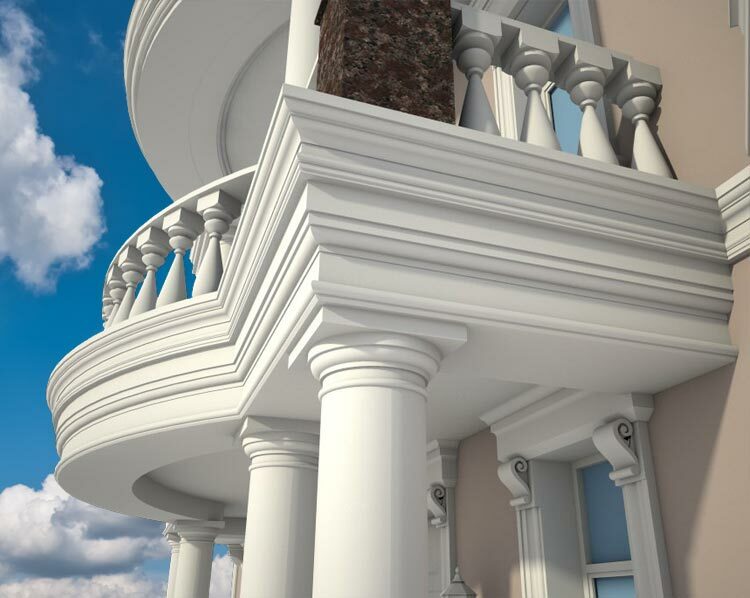 The facades of houses, the design of which is accurate, special style, can advantageously elevate the building from among the rest. 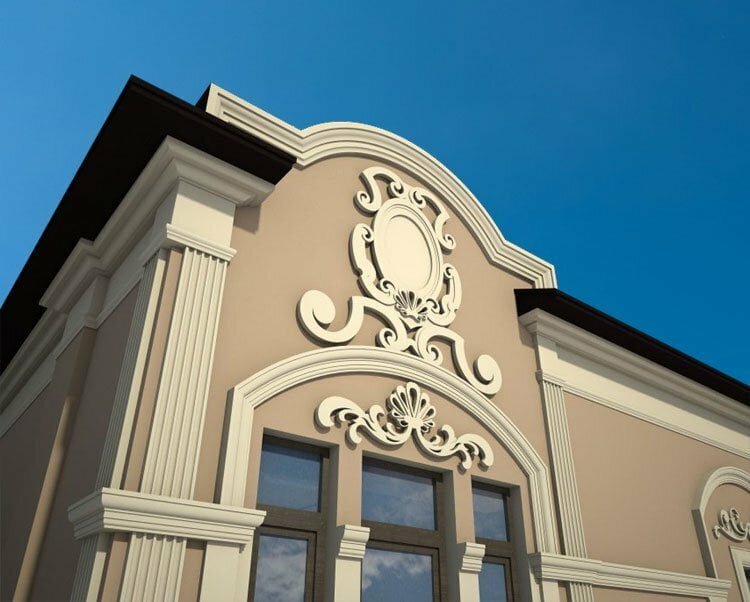 In order for wall cladding to be reliable and aesthetic, it is important to choose high-quality materials and to select the technology of works. Just look at our house exterior design ideas – we are sure you will find what you were looking for! Protection – the thicker and more resistant the material, the better it protects the walls from moisture, temperature, vibrations and other environmental influences. Sound insulation – plaster, polystyrene, wooden blocks, stone and other materials can significantly reduce the sound effect from the street to the house. Warming – the outer covering of the building plays the role of an additional layer between the wall and the environment. 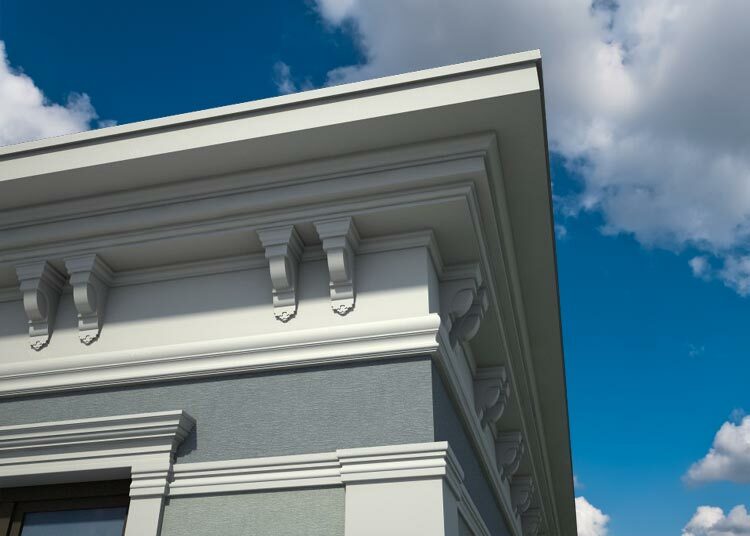 Often, users make the facing of the building foam, and on top of it perform decorative work. 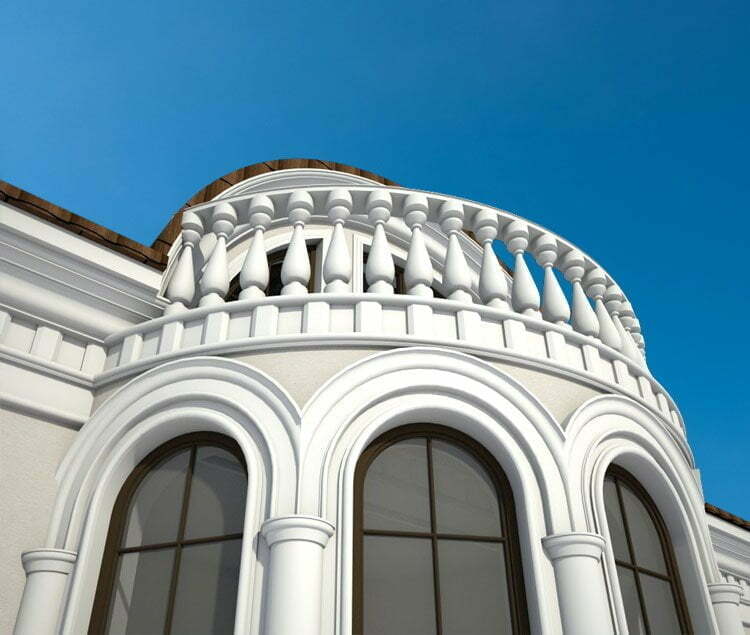 Finishing private houses can be done with plaster. 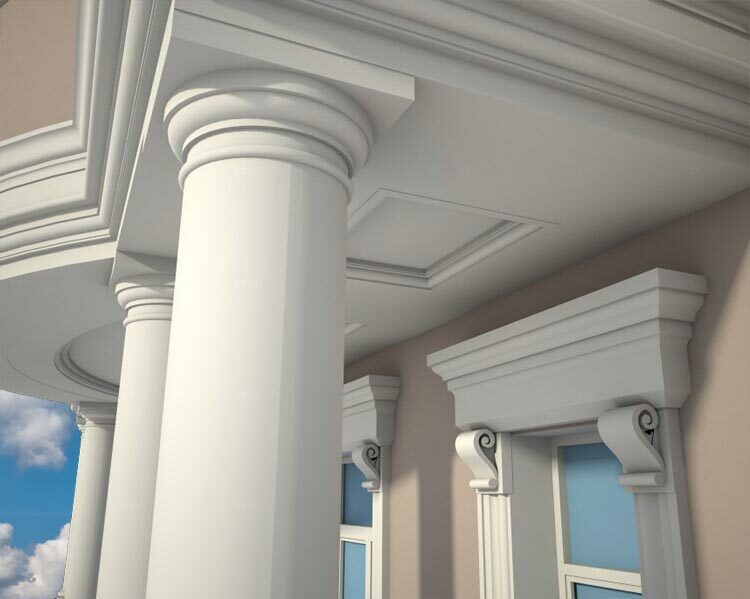 This material combines the parameters “profitable and beautiful”. Mineral plaster is considered the most common material, which is available in a wide color palette. Resistant to weather conditions, as well as sterility, does not allow mold to develop, microorganisms. In addition, such material is not afraid of direct sunlight. Decorating the facades of houses with bark beetle is a popular technology today. The surface of the building will have a symbolic abstract pattern. For example, the design of walls with a fur coat is an older method that is common among administrative and government institutions. 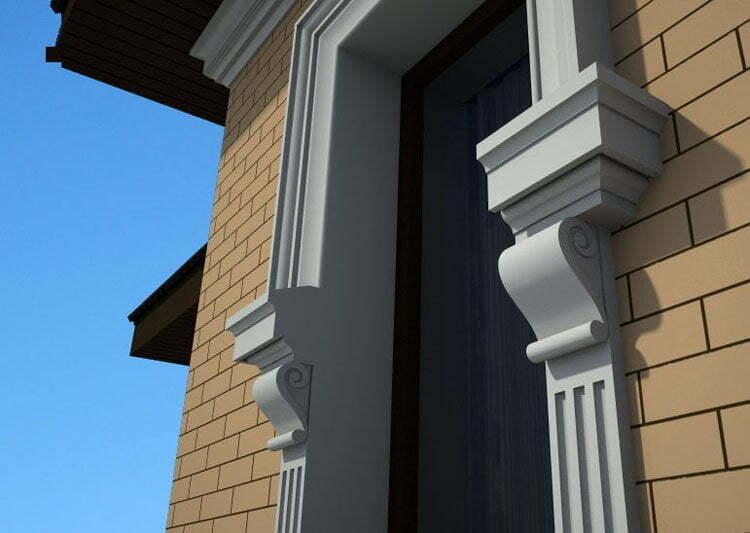 The decoration of the facade of a house made of bricks is the most economical and reliable method. 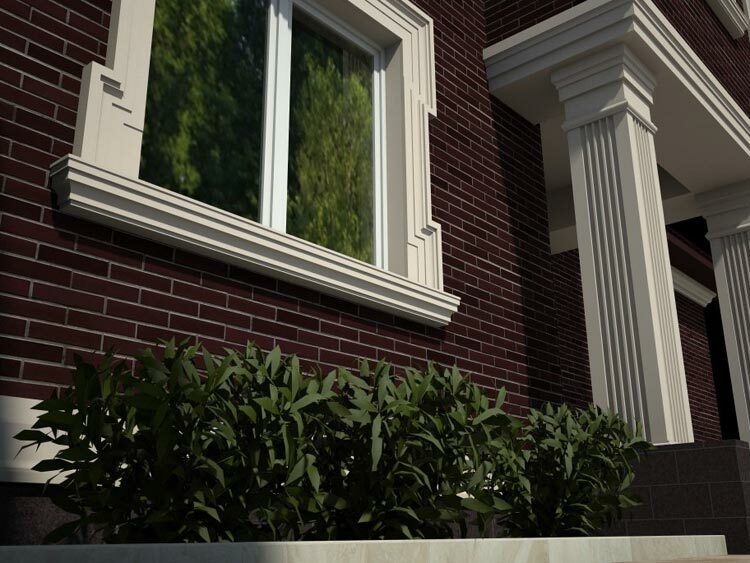 Clinker brick is very popular – it is available in a huge range of colors. Facing buildings from porcelain stoneware looks aesthetically pleasing and quite solid. The surface can have almost any texture, imitate a natural tree or stone. 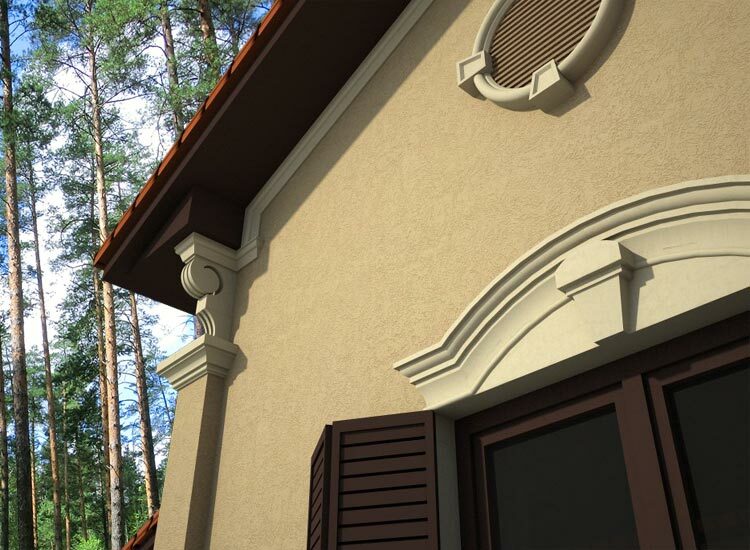 The decoration of the facade made of natural stone or wood is the most expensive, but the most aesthetic format. The house acquires status and charm. Modern styles of the exterior dictate the rule – to combine ultramodern materials with natural ones. Steel, concrete, plaster with wood, natural stone. Making the front of the house with your own hands is a creative process, so you have the opportunity to create your own project. Design facing is custom made in the style of a certain region (France, Germany, England), a specific era. German style veneer will reflect the economy, rational views of the owner. Fachwerk style – the most vivid reflection. Facing the house is done in light and warm colors (white, peach, sand, sometimes gray) and is complemented by wooden beams symmetrically to each other. This format resembles all the famous houses of Bavaria. The decoration of the facade of the house in the Provence style is romantic and, at the same time, simple decoration. The bias is made on rural, provincial style using natural stone, wood, carvings, plant paintings. The colors of the facing are light, refreshing and tender: pastel, turquoise, light lemon, peach, lilac, white-blue and lavender. The style of Provence is French chic, so it’s important to convey the mood of lavender fields and the connection with nature. 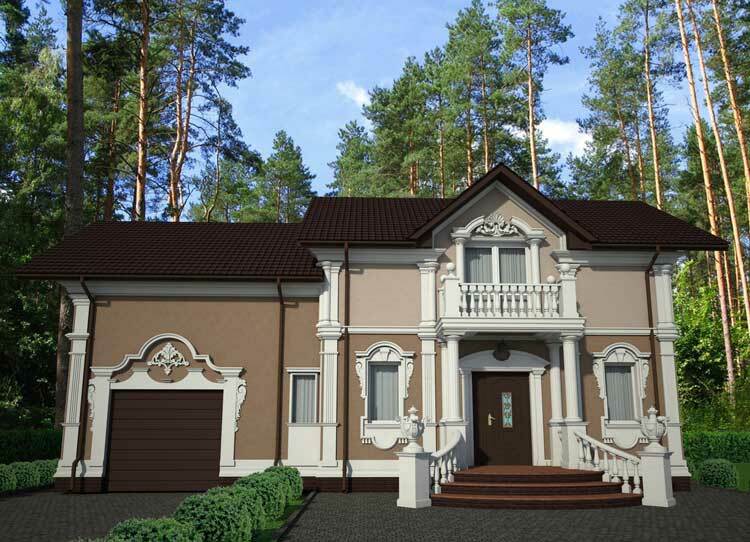 The design of the facade of the house in the style of the chalet is a very expressive and original solution. The walls here are made of natural stone in combination with wood, concrete. The main bias is on the panoramic windows that create the impression of freedom and space. Do not forget that the well-known chalets in the Swiss Alps have direct protruding roofs to protect the house from snow and moisture. 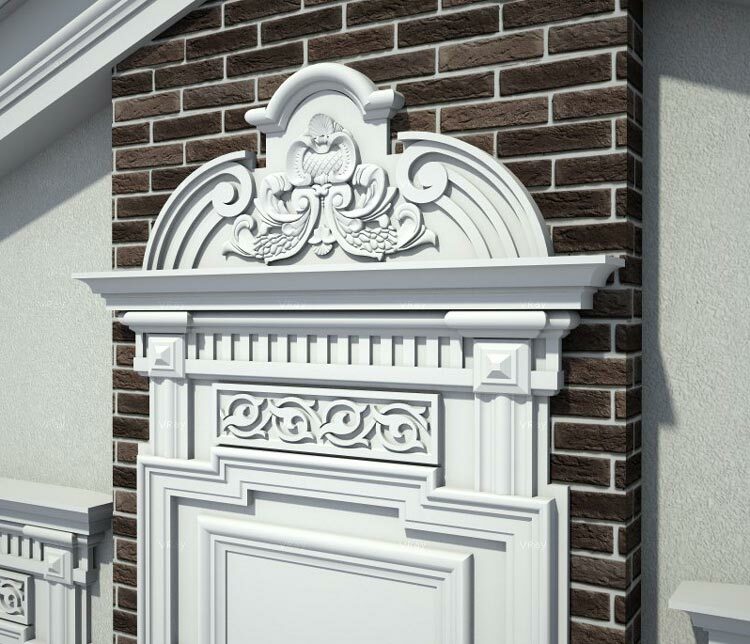 The decoration of the facade of a private house in the English style will appeal to every connoisseur of the classics. English style is inherent special care: windows with thin columns, monotony in a calm color, straight lines, small windows. Build a house yourself? Bought an inexpensive cottage and want to update the facade? Great idea! Making out the facade of the house with your own hands, you will not only create the home of your dreams, but you will also get a lot of pleasure. 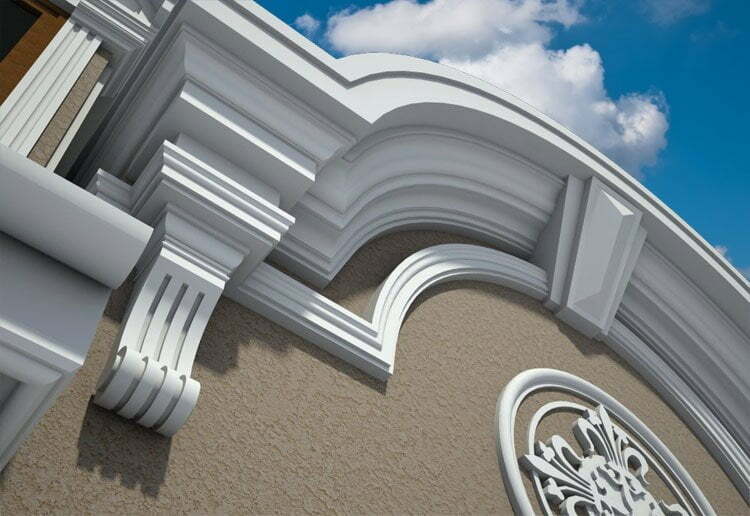 Some types of facade decoration are very beautiful, but expensive and difficult to install. For example, facing brick.